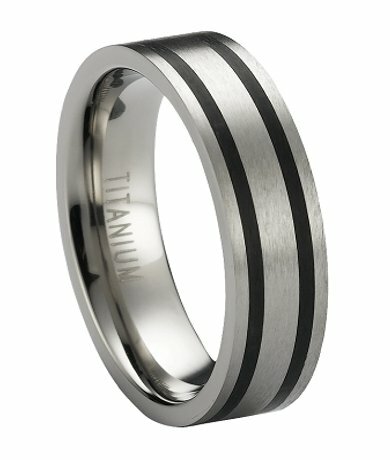 Satin-finished titanium and two blackened titanium bands reinvent the "two-tone" look in this alternative men's wedding band. 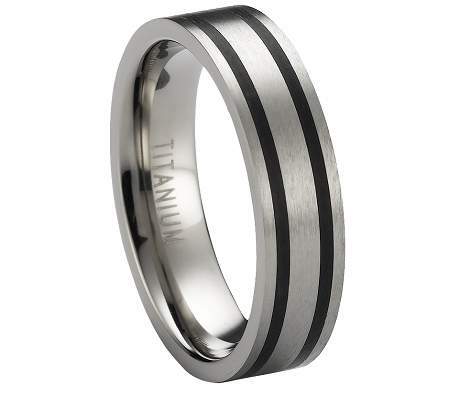 One of our newest men's titanium rings, it is 6mm wide with a flat profile and a design that works well as a wedding band or fashion ring! This ring is beautiful, everything the site promised it was and an amazing price! Cannot recommend this site enough! 5 Stars!